We all wish to have our teeth like those of a movie star’s: pearly white and bright. But sadly, there are many reasons why teeth would darken over time, such as age, food and oral habits. That is where teeth whitening comes useful for us. 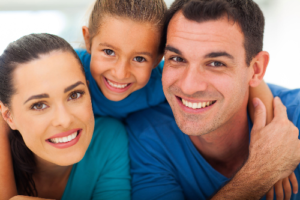 Teeth whitening is a procedure that is very common and quite preferred by many. People who have come to Los Algodones have had their teeth whitened thoroughly and quick, so there is no reason left to not smile. The only thing that you need to keep in mind is that you have to keep your oral habits on point for it to last and not stain again. 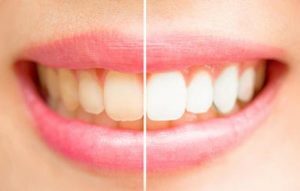 If you are interested in this procedure, or want to know more about how teeth whitening is done, then this article will give you a nice idea about it. How is the teeth whitening procedure carried out? As we just said a few paragraphs back, it is important to note that this will do nothing if you keep awful habits with you. Teeth are subjected to foods and habits that can stain them again. Los Algodones dentists recommend brushing twice a day for 2 minutes each session, as well as flossing once. And if you can also rinse your mouth with a fluoride mouthwash, then you would be set! As for the teeth whitening treatment, it is pretty quick and does not hurt at all. It is commonly performed in one of two ways: with hydrogen peroxide or with laser treatment. When hydrogen peroxide is used, the dentist will be using a whitening gel at high concentrations. This gel abrases the teeth to get the desired shade of white in them. It is done in such a way that the teeth and gums are entirely safe to get the best result. Usually after the procedure, you might be subjected to a bit of tooth sensitivity, which will wear out in time. As for the laser treatment, it is far more simple. Like the name implies, the dentist uses a laser in order to treat the dark spots of the teeth. This requires advanced technology and it is far quicker and as safe. If you are interested in this procedure, you might want to check our prices here! Why do teeth change in color? Dark foods and drinks are a common cause of this. For example: dark tea, dark sodas, coffee and wines are known for darkening the teeth. Their pigments attach to the white surface of our teeth, making them look darker. As we grow older, it is normal for our tooth enamel to become thinner by the day. This makes it slightly more transparent, which exposes the yellow dentin underneath. Tobacco and cigarette use also stain the teeth. Their components such as tar and nicotine affect the color of our teeth. Traumas and hits that harm our teeth might affect the dentin, which will acquire a dark color. Some medications, typically antihistamines, high blood pressure, and antipsychotics medications have a darkening effect. This is important to know in case of babies and children as being exposed them before their teeth form can cause discoloration on their teeth. So what options do I have for whiter teeth? Whitening toothpastes: these contain abrasives that help remove surface stains. It won’t work on stains that are intrinsic, though. Make sure to look for the ADA Seal on them. In-office bleaching: this is quickest and most simple way, as it requires only one visit. An abrasive at higher concentration or bleach are used while maintaining your gums protected. At-home bleaching: these are gels that contain peroxide whiteners, which bleach the enamel. The concentration in these are much lower than that of your dentist, so it might take a while before you see any results. No Replies to "Teeth Whitening: What To Know"